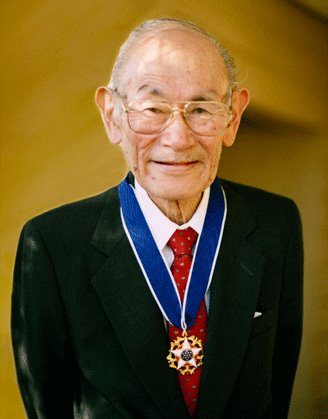 Fred Korematsu (1919-2005) was a recipient of the Presidential Medal of Freedom. Rep. Judy Chu (D-Pasadena), CAPAC chair: “By challenging the unjust incarceration of over 120,000 Japanese Americans during World War II, Fred Korematsu served as a beacon of hope during an otherwise shameful time in our nation’s history. His courageous actions cemented his legacy as a civil rights icon, and his story reminds us that we must always be vigilant in protecting the civil rights of all Americans. This is especially true now more than ever with President Trump’s abhorrent executive order targeting immigrants, refugees, and Muslims. These shameful actions are fueled by the same hysteria and prejudice that led to Japanese American internment during World War II, but we must not allow history to repeat itself. CAPAC is composed of members of Congress of Asian and Pacific Islander descent and members who have a strong dedication to promoting the well-being of the Asian American and Pacific Islander (AAPI) community. It has been addressing the needs of the AAPI community in all areas of American life since it was founded in 1994.